A rare captive Tiger Shark takes residence in the Aquarium of the Pacific, presenting new opportunities - and challenges - for the staff and researchers. 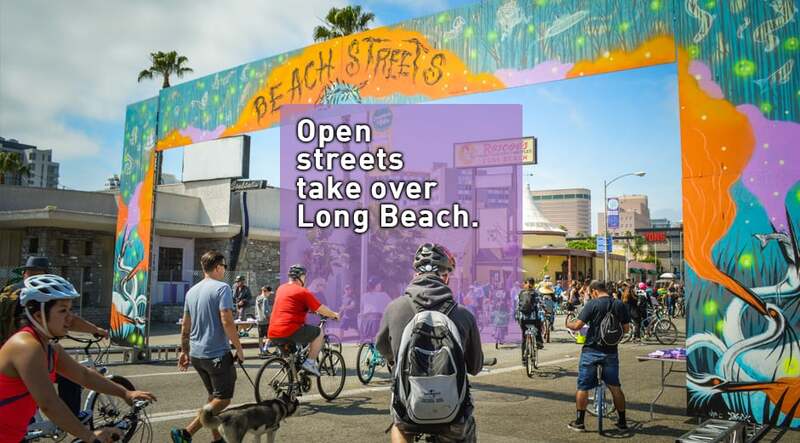 This fall, Long Beach will be hosting two open streets events, designed to activate streets for many purposes by first shutting them down to cars. The first event will be in October in uptown, the second in November in mid-town. Uptown will be hopping on Saturday, October 1, from 10:00 am to 4:00 pm, for Activate Uptown, a free, open-streets block party along Artesia Boulevard between Atlantic and Orange Avenues, with live music, activities, food, crafts, giveaways and more. Artesia Boulevard will be open to people walking, biking, and playing in the street, and closed to vehicular traffic. Myrtle Avenue between Artesia Boulevard and Harding Street will showcase a reimagined streetscape with temporary features (including a bike boulevard and roundabout) that make walking, bicycling and skating easier, safer and more enjoyable. Myrtle Avenue will remain open to local traffic. Other family friendly activities include a live mural installation, a youth basketball tournament, raffles, and more. Free bike valet will be available. More entertainers and activities will be announced shortly. Activate Uptown is sponsored by the Office of Vice Mayor Rex Richardson, SCAG’s Go Human Campaign, Clean Transportation Funding – MSRC, and The California Endowment. The following month, Beach Streets returns with Beach Streets Midtown on November 12, between 9 a.m. and 3 p.m. While Activate Uptown is more of a giant block party, Beach Streets is more of a Ciclovía style-event where miles of streets are closed to cars and open for everything else. Beach Streets Midtown will be 2.6 miles long along Anaheim Boulevard between Orange and the PCH. As with past Beach Streets, there will be a mix of public events and performances as well as the signature for any open streets event: streets free of cars.